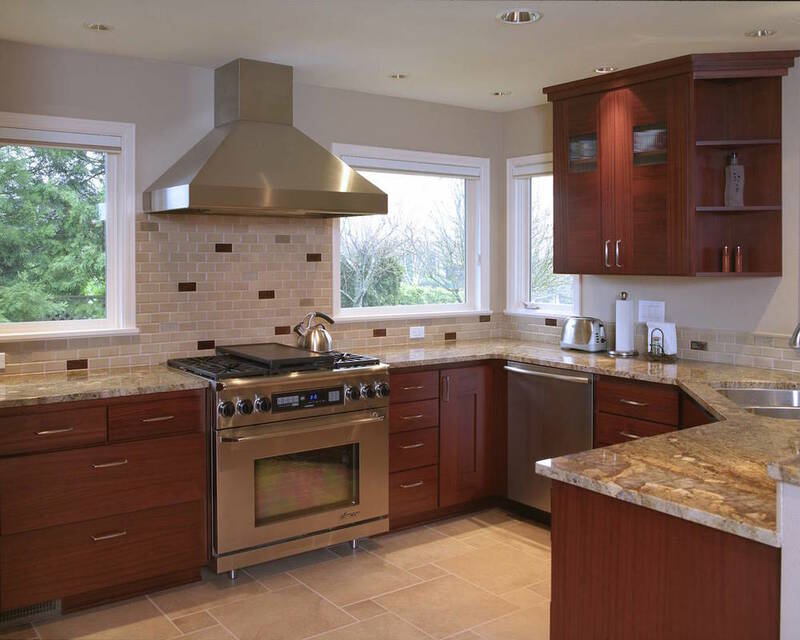 This award-winning project featured an extensive remodel to a residence in Bellevue, WA. The goal was to create a space that would flow well for entertaining, take advantage of the Mt. 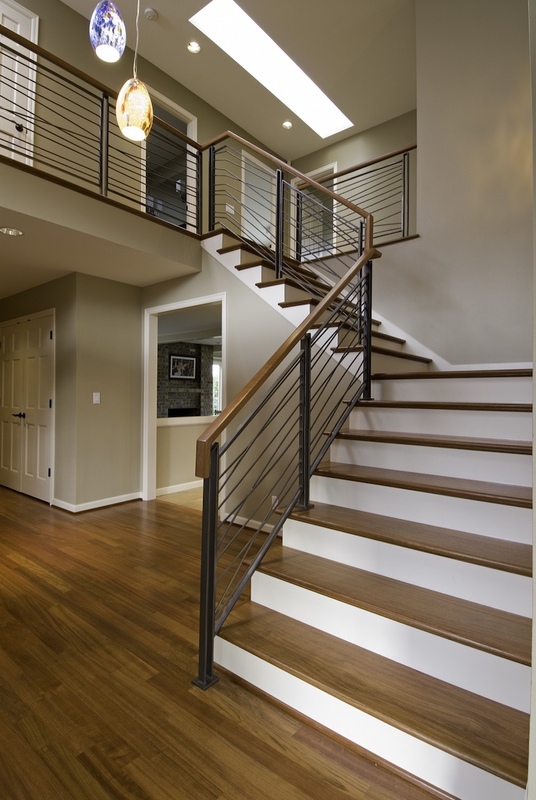 Rainier view and transform the traditional home style to the more contemporary taste of the homeowner. The layout of the kitchen and master bathroom were completely rearranged to function more efficiently for this busy family who entertain often. The house features custom cabinets in the kitchen and master bathroom, porcelain tile for durability and great looks, new lighting as well as artistic and decorative touches throughout the home.